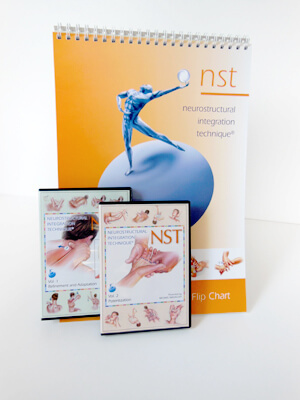 The NST Advanced DVD Training System has been exclusively designed to take the NST Practitioner to the next level in their professional clinical application of NST and follows on directly from where the extremely popular NST Basic DVD Training System concluded. A cleverly designed integrated education system modelling the structure of the powerful OS Advanced NST Workshop, the Advanced NST DVD Training System faithfully emphasizes the same training goals of Refinement, Adaptation and Potentisation. Like the Basic Training System the Advanced is a Double Volume DVD set with integrated Flip Chart however the viewing content is more than double that of the Basic, attesting to the sheer amount of highly valuable and detailed therapeutic NST work presented therein. Volume One runs for 140 minutes and contains the Refinement and Adaptation sections designed to powerfully enhance and expand the NST Core work contained in the Dynamic Body Balance and importantly includes a bonus section for Thoracic and Shoulder work. 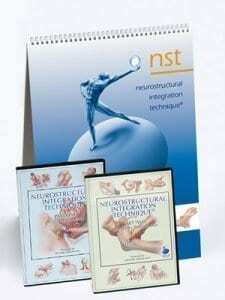 Refinement commences by re-visiting and refining the powerful NST Engine (Dynamic Body Balance). NST’s founder Dr. Michael Nixon-Livy takes the viewer over each and every Pri-move contained in the Dynamic Body Balance clarifying and deepening the viewer’s comprehension with ample insights and clever tips throughout. Volume One then moves to the Adaptation section where the Dynamic Body Balance is transformed by the addition of several clever Variations and Additions that enable the NST Practitioner to apply the Dynamic Body Balance with more depth, specificity and efficiency. The Adaptation section concludes with some wonderful work for the shoulders and thoracic area performed in the sitting position. All procedures demonstrated are supported by precise NST anatomical illustrations, on-screen notes and numbering system that leave the viewer in no doubt as to how and when each and every Pri-move and procedure are to be performed. Volume One summarises one and a half days of actual OS Advanced seminar content. Volume Two runs for 180 minutes and contains the Potentisation section, which is essentially designed to provide the NST Practitioner with more powerful procedures for more chronic or difficult cases. Full of elegant therapeutic solutions, Potentisation dramatically deepens and expands the complete NST system via a multitude of new Advanced procedures contained in three distinct categories. The main Eclectic category contains several new Advanced procedures for the Shoulders, Elbow & Wrist, Hands, Feet, Coccyx and Hips. The Occasional category contains specific procedures for the Central Base, Scoliosis and Epilepsy. Finally the TMJ & Cranial category contains further important work for the TMJ plus an Ocular release and a deeply relaxing and integrating Cranial technique. Once again NST’s founder Dr. Michael Nixon-Livy leads us through the complete Potentisation section in his typical straightforward style with a crystal clear hands-on ‘at the table’ presentation again wonderfully enhanced by a myriad of precise NST anatomical illustrations and further supported by numerous concise on-screen notes and numbering system. 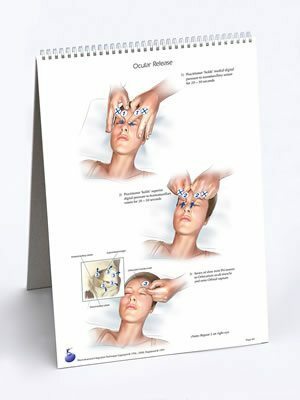 The NST Advanced DVD Training System equips the practitioner with all relevant information for the NST OS Advanced work to be immediately applied and reproduced in the clinic. Volume Two summarises two and a half days of actual OS Advanced seminar content.